Brewed according to the original recipe created by the founder this beer has grew to become Cologne’s most popular. It has a delicious taste which will leave you wanting more. This Kolsch has been produced for more than 100 years which has seen family tradition become the main ingredient in making this beer. 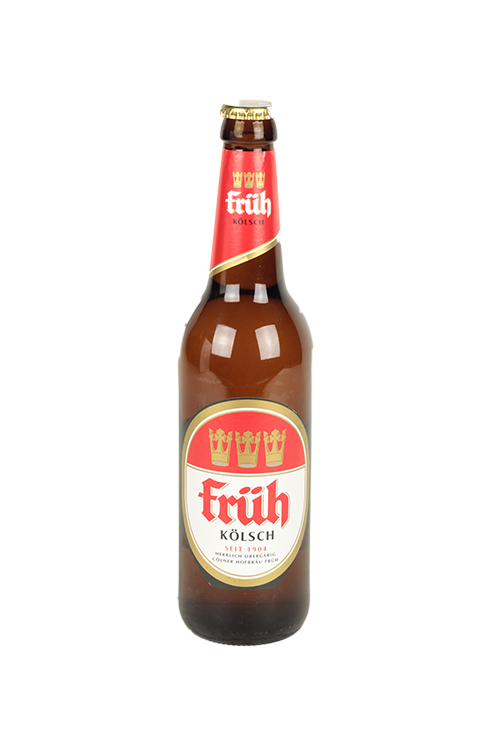 Brewed in the shadow of Cologne’s cathedral Fruh Kolsch has grew a reputation which has seen the brewery move and thrive.